Senate Bill 2059 was presented as a measure to keep state universities open through the summermonths and until further funding can be appropriated for higher education. Specifically, the bill has appropriated $600 million for higher education institutions from the Education Assistance Fund, funding which is immediately available. Rep. Mike Fortner was on the forefront of discussions on this legislation. Fortner proposed a plan on Monday and worked diligently with legislators on both sides of the aisle throughout the week to find a solution to keep state universities open and running. “Despite a shaky start I’m very glad that a bi-partisan emergency funding agreement for universities, community colleges and students’ MAP grants has finally passed the General Assembly and Comptroller Munger has announced that she is standing ready to begin processing payments. After ten months without funding, our universities were drowning. Today we worked together to throw them a $600 million lifeline. I truly hope that we can build on this cooperative success at the budget negotiating table,” said State Rep. Dan Brady, who serves as Minority Spokesman on the House Higher Education-Appropriations Committee. The General Assembly approved SB 2059 on Friday and Governor Rauner signed it into law on Monday as Public Act 99-502. House votes to restore school construction funding. The Illinois House passed legislation Tuesday to free up promised school construction funding for various school projects across the state. HB 4232 contains Capital Development Board grant funding that was approved in 2003 and 2004 for school construction projects all over Illinois. The bill passed the House with 70 yes votes. State Rep. Terri Bryant voted in favor of the legislation that would release funding to complete construction on a new high school in Mt. Vernon. HB 4232 makes re-appropriations from the School Construction Fund and the Capital Development Fund for ongoing school construction and improvements for Fiscal Year 2016. Another scathing audit revealed for scandal-plagued NRI program. Through much of 2014, questions were raised and discussed on the operations of Community Violence Prevention, a family of programs operated by the office of former Governor Pat Quinn. The programs, also known as the Neighborhood Recovery Initiative (NRI), had been “sold” to a Democratic Party-controlled General Assembly as a family of social-work initiatives intended to provide after-school and other alternatives to at-risk youths and adults. The programs came under serious attack when revelations showed that the programs had been operated without administrative controls, and without gathering any data to show that the cash being handed out was actually reducing street crime in targeted neighborhoods. 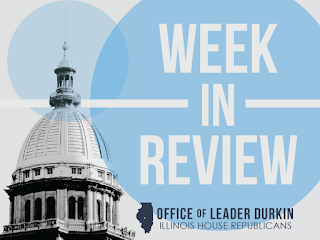 In addition, questions were raised about ties between high-ranking program officials and the Democrats’ campaign to re-elect Quinn as Governor of Illinois. Following revelations of political influence and corrupt practices in the NRI program, State Rep. David Reis, a member of the Legislative Audit Commission that held hearings on the NRI audits, introduced and passed HR 888, which directed the Auditor General to conduct a performance audit of State moneys provided by or through the Illinois Criminal Justice Information Authority to community-based violence prevention programs. Although press coverage of these programs diminished after the departure of the former governor, the questionable programs continued to be carried out under the nominal supervision of the Criminal Justice Information Authority (CJIA), a State agency. 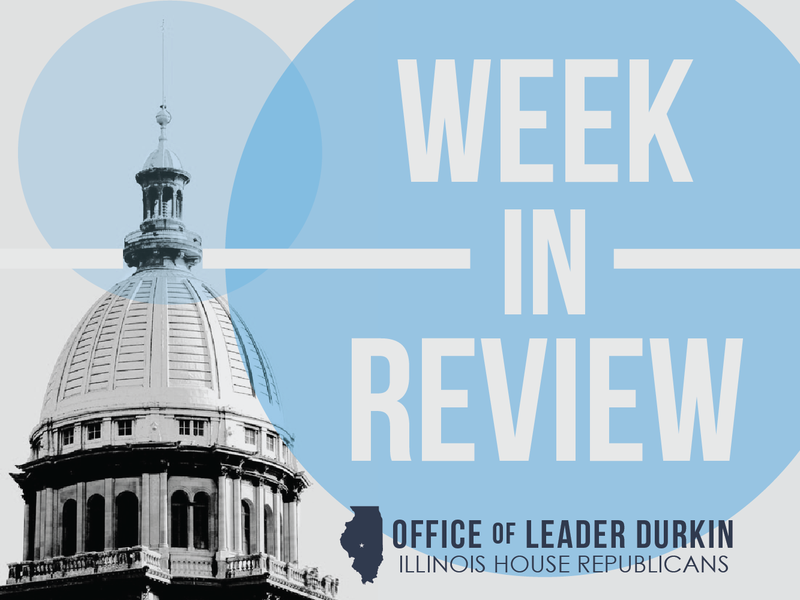 A performance audit, conducted under the supervision of the Office of the Illinois Auditor General, has uncovered “significant breakdowns” in the administration of the now-wound-up programs. This week, the CJIA accepted the findings of the Auditor General. The CJIA has also turned over the evidence of “misspent funds” to its newly-hired General Counsel and has stated its intention to pursue legal action to recover some of the monies improperly misspent. IDNR closes two Illinois state parks. The recreational grounds, at Horseshoe Lake near Granite City and at Ramsey Lake near Vandalia, are located in Southern Illinois. Both parks serve as fishing grounds and campsites, and in both cases the closures are attributed to the shutdown of electrical services to the campsites and park operational buildings. Ramsey Lake closed immediately upon the announcement on Thursday, April 21, and Horseshoe Lake is scheduled to close on Monday, April 25. Due to the State’s budget impasse, the Illinois Department of Natural Resources (IDNR) has been compelled to defer payment on some of the billings for electrical services provided to its infrastructure. The Department was not able to state when the affected parks would be able to reopen. The staffs assigned to both parks will retain their jobs and have been reassigned to other nearby parks. Illinois prison system chief says swelling population behind bars can be attributed to substance abuse punishments; calls for look at changes. In remarks made to the Southern Illinois Drug Awareness Conference in Carterville, John Baldwin, the acting director of the Illinois Department of Corrections (IDOC), pointed out the role that Illinois drug laws have played in multiplying the number of persons incarcerated in state prisons. The headcount of prisoners confined by the IDOC has multiplied over the past 40 years. This increase coincides with the national “War on Drugs” that began in the 1970s. Director Baldwin’s remarks signaled continuing dialogue between IDOC and an ongoing effort, led by the Rauner administration, to take a second look at Illinois’ Criminal Code and criminal laws. Finding subgroups of criminal offenders and adjudicated persons who can be moved into programs of disciplined supervision and rehabilitation, rather than prison, could reduce operating pressures on the prison system and reduce budgetary pressures on the State and its taxpayers. Governor Rauner has asked the State Commission on Criminal Justice and Sentencing Reform to develop a package of recommendations that, if implemented, could reduce the prison population by 25% over a ten-year period. The Commission released fourteen recommendations in January 2016. IDOC’s cooperation is essential in the implementation of many of these recommendations. Several of the recommendations depend on the continued maintenance of a healthy and pro-active system of supervisory probation officers, parole officers, and other criminal-justice personnel skilled in maintaining ongoing surveillance and control of adjudicated persons who have not been sentenced to prison, or who have been released from prison. Gas price up 18 cents per gallon. The report, published last week by motor fuel price data aggregator GasBuddy.com, indicates that the average price for a gallon of gasohol has increased from $2.06 a week earlier to $2.20. Prices are expected to continue rising due to greater demand from drivers as the summer season approaches. Efforts to increase Illinois motor fuel supplies have been stymied by federal government policies such as actions related to the Keystone/Phase 4 pipeline. The Phase 1 segment of the Keystone pipeline system has been built and delivers substantial quantities of liquid fuel from western Canada to central and southern Illinois, but construction of Keystone/Phase 4 has been blocked by actions in Washington, D.C. Nationwide “Clean Air Act” mandates also affect the prices of motor fuel sold in ozone noncompliance areas, which include greater Chicago and greater St. Louis. Munger issues order delaying lawmakers’ pay. Based on the continued lack of a balanced budget for FY16, Comptroller Leslie Munger has directed her staff to move the issuance of paychecks for elected State officials from a silo of bills that are paid immediately and on schedule, to a separate silo of bills that are paid after a delay. The move affects pay for all constitutional officers in statewide elective positions, including herself, and affects pay for the 177 members of the Illinois General Assembly – 118 House members and 59 senators. The move, which was announced on Sunday, April 17, comes amid growing cash-crunch consequences upon normal recipients of State grants and procurements who are not protected by court orders, consent decrees, and continuing appropriations. Firms, offices, and entities that are getting money late or not getting money at all, include providers of many community social services, State universities, community colleges, and providers of many health care services. The Munger order is seen as likely to lead to significant delays in the scheduled periods of time that state lawmakers must wait to be paid for their services to the State. The State has currently piled up a backlog of almost $7 billion in unpaid bills. State lawmakers are typically paid at the end of each month, and the first pay period that will be affected by this Munger order will be April 30. Flagship university joins lists of state universities facing cutbacks. Steps being taken at the University of Illinois at Urbana-Champaign (UIUC) to freeze or reduce operational spending were made public on Wednesday, April 20. Hiring of non-instructional civil service personnel was frozen on Monday, April 18, and the University’s departments have been asked to submit a headcount of possible personnel cuts to the University’s Human Resources office. UIUC is one of twelve State university campuses in Illinois. Because of UIUC’s standing as a research university with substantial grant funding, the campus had not been thought to be in as serious a cash-flow situation as Illinois’ teaching universities. However, the cutoff of state general revenues funds since the start of the current fiscal year in July 2015 has affected every public university and community college. The list of possible UIUC layoff positions will be due in the Urbana-Champaign personnel office on Monday, May 16. State Fair announces significant admission price changes. The cost of a standard adult one-day ticket to the Illinois State Fair in Springfield, which was $7 for the 2015 state fair, will be increased to $10. Similar increases will be implemented for state fair multi-day admissions ticket books and for access to the State Fairgrounds parking lots. The increase will move the admissions price closer to the prices charged by neighboring state fairs (the Iowa State Fair ticket price is $11). At the same time as the implementation of this major ticket hike for adults, the State Fair is creating free admission for children age 12 and under. Children age 5 to 12 had to pay half price in 2015, but will be given free admission in 2016. It is hoped that these adjustments will raise much-needed State Fair operational income while at the same time making the event more family-friendly. The Illinois State Fair will be celebrated in Springfield from Thursday, August 11, through Sunday, August 21. Additional admissions discounts will be made available on opening and closing day. Constitutional amendment would allow Illinois voters to abolish office. Illinois has had a constitutional Office of the Lieutenant Governors since being admitted to statehood in 1818. For almost 200 years, most Illinois lieutenant governors have served quiet terms without succeeding to the office of Governor or performing other significant tasks. Seven U.S. states do not have a Lieutenant Governor. HJRCA 5, sponsored by Rep. David McSweeney, authorizes the people of Illinois to vote in November 2016 on abolishing the office of Illinois Lieutenant Governor. If the amendment is approved, the elected Illinois Attorney General (who is the person next in line under existing law) would become the successor to the Governor who is first in line. The measure was approved by the House on Friday, April 22. The 95-10-0 bipartisan vote to approve HJRCA 5 sent the measure to the Illinois Senate for further consideration and debate. House Democrats call for amendment to Constitution, enactment of graduated income tax. The Democrats’ tax hike proposal, which would require amending the Illinois Constitution, calls for imposing a new individual income tax rate of up to 9.75% on upper income Illinoisans. The Illinois individual income tax has always been imposed at a flat rate since it was enacted in 1969. The current Illinois individual income tax rate, since January 1, 2015, has been 3.75%. Advocates for the graduated income tax proposal claim that the tax would raise an additional $1.9 billion in new state revenue. 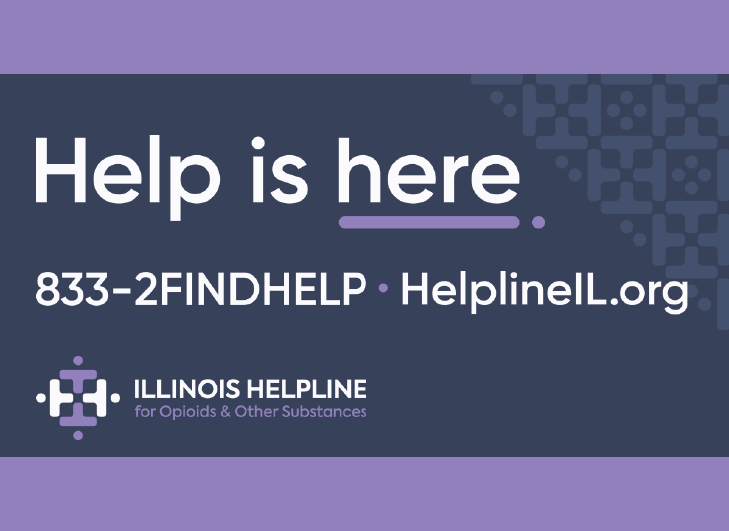 The proposal, floated by House Deputy Majority Leader Lou Lang, was introduced in the Illinois House as Floor Amendment #1 to HB 689. 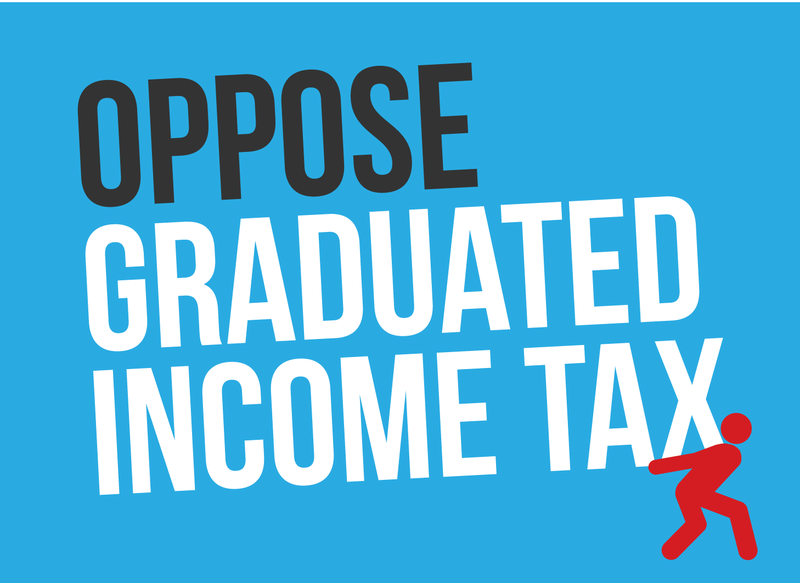 The Constitution of Illinois states that individual income taxes must be imposed at a “non-graduated rate,” and the Lang proposal would require that an amendment be approved by voters to change or repeal this mandate. HJRCA 59, a newly-filed constitutional amendment, was approved by the House Executive Committee on a partisan roll call on Thursday, April 21. House Republicans voted against the proposed amendment. If adopted by both houses of the General Assembly, the amendment would submit to the voters the question of repealing the current flat tax mandate. House passes constitutional amendment to protect road funds. The Illinois House voted Friday to support a proposed Constitutional Amendment that seeks to protect a funding mechanism for Illinois’ roads, highways, and transportation systems. HJRCA 36 passed the House overwhelmingly and now moves to the Senate for consideration. House Joint Resolution Constitutional Amendment 36 seeks to amend the Illinois Constitution to say that tax dollars collected via the motor fuel tax, vehicle registration fees, and license taxes will be used exclusively for transportation-related purposes. Reis says that the passage of the Amendment will help to ensure that motor fuel tax and other transportation related fees and taxes will actually go to adequately maintaining and improving Illinois’ transportation infrastructure. Key supporter backs away from own mileage tax proposal. The proposal, floated a week earlier by Senate President John Cullerton, to charge Illinois motor vehicle owners a mileage-based tax for use of Illinois roads, could have run into serious trouble. The Senate Democratic leader stated on Friday, April 15 that he did not plan to move forward with the proposal this spring. Cullerton described his proposal as a trial balloon intended to start discussions on funding for road construction and maintenance. Advocates of tax increases assert that existing Illinois motor fuel taxes do not raise enough money to enable for the timely rebuilding and reconstruction of Illinois roads and bridges. The Cullerton proposal would have strongly encouraged Illinois drivers to accept the placement of an electronic mileage counter or transponder on their vehicles, which could be used by authorities to count miles driven. Under one tax contract that drivers would have been encouraged to choose, the mileage counter/transponder would have told authorities where the motor vehicle was at all times. The state’s 19-cents-per-gallon tax rate on motor fuel was last increased 25 years ago, in 1991. Other proposals still on the table call for increasing this conventional tax by levels up to 30 additional cents per gallon in Illinois. Morel season moves north through Illinois. Outcrops of the heavily-pitted fungus, sought by skilled mushroom hunters, are popping in south-central Illinois. With continued warm, damp weather, the season should move northward through the Land of Lincoln over a two-week period. In northern Illinois, the Midwest Morel Fest will celebrate springtime in Ottawa, Illinois on Saturday, May 7. Morel hunters share tips online and offer guided hunts in festivals on how to differentiate the tasty morel from mushrooms that are inedible or deadly poisonous. Mushroom hunting should not be undertaken without experience.